For the few hours of daylight that were left they rested, shifting into the shade as the sun moved, until at last the shadow of the western rim of their dell grew long, and darkness filled all the hollow. squire: Nothing distinguishes Tolkien’s world more than the attention he pays to light and darkness and their effects on the landscape—and the spirit. Likewise he is a master at using the sun and the moon in the sky to communicate the time of day and time of month. Here I want to focus on the intersection of Time and Light in our two days in Ithilien. The dusk was deep when at length they set out, creeping over the westward rim of the dell, and fading like ghosts into the broken country on the borders of the road: The moon was now three nights from the full, but it did not climb over the mountains until nearly midnight, and the early night was very dark….At last, when night was growing old and they were already weary,….So soon they struggled on once more, until the dawn began to spread slowly in the wide grey solitude. The growing light revealed to them a land already less barren and ruinous. The day passed uneasily. They lay deep in the heather and counted out the slow hours, in which there seemed little change; for they were still under the shadows of the Ephel Dúath, and the sun was veiled. squire: A. When does the Moon rise? Why does Tolkien tell us literally which day of its phase the Moon is at? squire: B. What is the quality of the light and of the passage of time, during their day-rest? Why is it this way? squire: C. How does the changing light contribute to the sense that they are coming into a better land? Do you associate “the Moon” in these scenes with “Ithilien” (Land of the Rising Moon)? Gollum, in any case, would not move under the Yellow Face. Soon it would look over the dark ridges of the Ephel Dúath, and he would faint and cower in the light and heat. The daylight grew and the air became warm; the dew faded off turf and leaf. … Almost Sam fell asleep as the time went by. He let them stew for close on an hour, testing them now and again with his fork, and tasting the broth. As he stood up to return, he looked back up the slope. At that moment he saw the sun rise out of the reek, or haze, or dark shadow, or whatever it was, that lay ever to the east, and it sent its golden beams down upon the trees and glades about him. Then he noticed a thin spiral of blue-grey, smoke, plain to see as it caught the sunlight, rising from a thicket above him. He could see them stealing up the slopes, singly or in long files, keeping always to the shade of grove or thicket, or crawling, hardly visible in their brown and green raiment, through grass and brake. … The sun rose till it neared the South. The shadows shrank. [Sam] woke, thinking that he had heard horns blowing. He sat up. It was now high noon. The guards stood alert and tense in the shadow of the trees. squire: D. Where else does Tolkien spend so much energy on reminding the reader of the passage of time? Why is this important to him here? squire: E. What is the effect of the constant reference to the shadows? an seleichan: The frequent veiling of the Sun in this part of the world is Tolkien playing with Shadow and Light, with Sauron and his effect on ME. Shadow as absence of Light, rather than a stand-alone force. 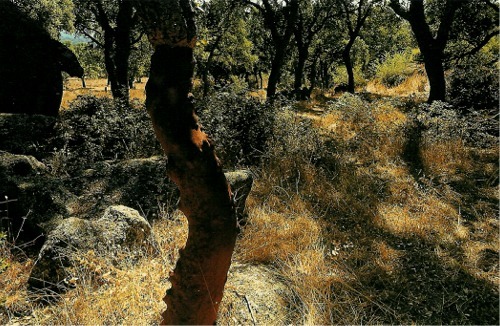 squire: But another aspect of this odd military operation becomes apparent: the Rangers use the shadows themselves: "Close by, just under the dappling shadow of the dark bay-trees, two men remained on guard"; "He could see them stealing up the slopes, singly or in long files, keeping always to the shade of grove or thicket"; "The guards stood alert and tense in the shadow of the trees." Now, obviously, in reality this is just what one would expect soldiers to do. But Tolkien puts such emphasis on light and shadow in this episode, that I believe he is also making a statement about the Rangers: to operate in Ithilien, they make use of the Enemy's devices, as Tolkien might put it: ambush, spying, sneaking, hiding in the shadows. We have already been told: "though orcs may shun the sunlight, there were too many places here where they could lie hid and watch" -- isn't this basically what the Rangers do as well? Only when the Rangers attack, in the bright sunlight of high noon, do they declare themselves and fight as soldiers not guerillas, blowing their horns and shouting "Gondor!" As Faramir will tell us soon, in its declining years, truly Gondor is now a land of twilight, if not of actual shadow. squire: F. Is the heat of the Sun a good thing in Tolkien? squire: G. What is the meaning of noon in Tolkien’s works? How does it apply here? squire: Why noon? I wonder if Tolkien isn't referring to the diminished power of the Shadow of Sauron at noontime: as Strider says of the Black Riders: "our shapes cast shadows in their minds, which only the noon sun destroys." Tolkien seems to be linking the metaphorical Shadow that stands for evil in his work with the literal shadow that occurs when sunlight is blocked. Obviously, shadows are at their smallest, and the sunlight is brightest, at noon. To me, only this explains why the Rangers ambush the Haradrim at noon. 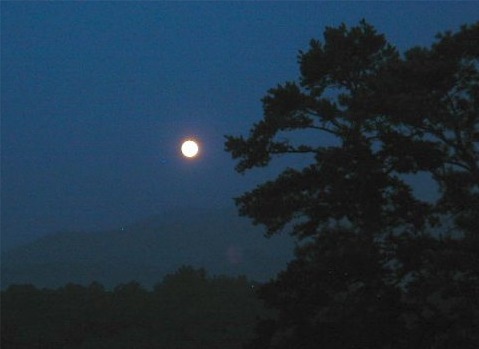 squire: The Sun rises above the Mountains by 9:00 or 9:30 in the morning, it seems; yet two nights before, the nearly full Moon did not rise above the Mountains until nearly midnight. H. How can that be? squire: My best guess is that on the first night they are quite close to mountains, which loom so high to the East that the Moon does not rise over them till midnight; two days later, we know they the road runs quite a bit more to the west, away from the mountains, so the sun can get over them by 9:00. Another indication that the map should show that road as being further from the mountains than it does. squire: It’s time for your closeup, Ms. Flieger. He set his two large flat hands on his shrunken belly, and a pale green light came into his eyes. …in the house of Elrond, after his deadly wound. Then as he had kept watch Sam had noticed that at times a light seemed to be shining faintly within; but now the light was even clearer and stronger. Green gauntlets covered their hands, and their faces were hooded and masked with green, except for their eyes, which were very keen and bright. squire: I. Am I right in identifying these moments as not being about good old ordinary light? What are they about? Is all not-so-ordinary-light the same, or are there different not-so-ordinary-lights? an seleichan: not so ordinary light Not-so-ordinary AND different, would be my guess. That is, the light shining from good people is good, and the light shining from bad people is bad. Saruman's coat of many colors: bad. Gollum's eyes glowing: bad. Frodo's hand and face gleaming white: good. Flieger says there is an underlying theme of travel toward, and away from, light in Tolkien's legendarium. The Elves are, especially at this point and right at the end of the Third Age, making their journey away from the Darkness of ME and toward their lighted home in the Undying Lands. Frodo, though, is making the opposite journey, into the heart of darkness. More importantly, he is becoming "something else" alluded to in Gandalf's statement at Elrond's house, as to what he will become in the end: "not to evil". He is becoming the splintered light of the title of the book; the embodiment of the theme Tolkien explores in the silmarils, the phial of Galadriel, and indeed, in the Sun and Moon, which are all splintered lights from the Two Trees in a sense. However, how this all explains the green light in Gollum's eyes as "bad" and the bright green eyes of the Rangers as "good", I am not certain. I really think the green light in Gollum's eyes is internally-induced somehow, and is a symptom of badness. But the light in the Ranger's eyes is reflected light, and not an actual symptom of internal personality. They have good eyes that reflect the Sun and Moon and other lights.